What is a nano drone? This is just another word for a small, fit-in-the palm drone. These are small, good for kids and beginners and they cost a minimal price. 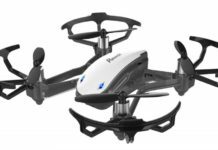 As you will no doubt see when you go to check out the Potensic D20 Nano drone, they even cost less than $50 sometimes and in some marketplaces. Small as they are, it is still possible to find a high quality, best nano drone with camera. But there are more basic as well as advanced features in these small cameras. 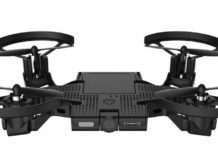 When you buy this Potensic drone, you will see why this brand name has been making a lot of headway in the market for consumer drones. Keep reading to see what kinds of features the Potensic D20 nano drone has to offer. This is a small drone, as you can guess from the word nano. It will actually fit in your palm. It is also easy to take around with you if you would like to fly it in the backyard, or any other place outdoors. Nimble and agile, this little drone has many surprises for you. You will love the built-in HD camera. 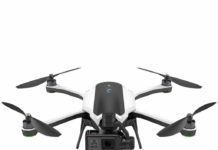 This camera also has Wi-Fi transmission so that you can view your aerial footage in real-time, just as if you were inside the drone. Sure, this is not a 4K camera, but it still takes good footage most of the time. Just place your smartphone in the holder on the controller and have a great time viewing your videos. Small as this drone is, it has been designed with three speed modes. 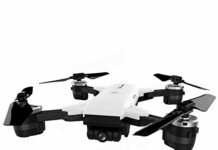 Thus, as a total newbie in the world of drones, you can start with the lowest speed setting and when you “cut your teeth,” you can use the more advanced speed. Engage the altitude hold and when you release the stick, the drone will hover at that given height. You can then capture your videos and photographs without hurry. The drone will hover at 1.2 meters until you press the button again when it will land again. One useful feature for beginners that this drone comes with is the headless mode. With this mode, you can fly the drone without minding where the nose faces. This makes the drone easier to fly for kids as well as adult beginners. There is another useful feature in the drone – this is the one key takeoff and landing. Just press it and the drone launches without much ado. It will also start its landing procedure when you press the button twice. Note that many drones, big and small have these features. It is good to see that the Potensic D20 has not been left behind. You need not worry about the safety of the drone at all. You see, it has an alarm for out of signal range and so you can bring it back home easily. 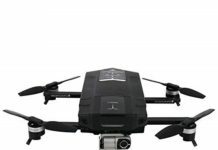 This drone also has an alarm for low battery. That way, you do not have to lose the drone as you can bring it back easily. This drone can move fast. The highest speed is 36km/h. Medium speed is 24km/h and low speed is 18km/h. You can see that even the low speed will not be that low after all. My seven-year-old daughter learned how to fly this drone without a lot of help from me. It has been a lot of joy watching her fly the drone from time to time and she loves it. Kurt L.
At 65 years of age, I never figured I would be able to fly any drone. I bought this one to learn how to fly and so far, I have enjoyed every moment I have had with it. 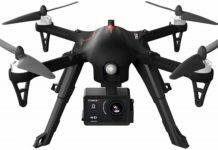 For that price, I would buy the drone again. Lionel H.
This little drone is worth every penny that you pay for it. It does everything that the user manual says it can be able to do. I do not like the quality of the videos that it takes at high speed, but I can live with that. Biff E.
I am yet to try all the features of this drone. However, before I buy anything online, I always read reviews left by other users. 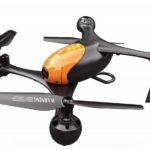 This is a highly reviewed drone, and once you use it a couple of times, you will see why many call it the best nano drone with camera. Robert N.
I have not used the camera yet so I have not seen the need to download the app. However, every other feature works as advertised. It is a nice drone. Curd J. My kids love this drone. Well, I should say drones because I had to order one for each of them to prevent fights over who would fly what. They have tried everything, with my help of course, but the app does not work so well on my smartphone. Walter S.
I am a speed junkie. Anything packs speed, I will push it to the limits and I have done so with this little drone. I have crashed it a couple of times and have had to order spares. Ben W.
Who Should Buy This Potensic D20? This is a toy drone, a fun drone if you like. It has been designed with the young users, kids and beginner users in mind. However, even if you are an experienced drone enthusiast, you will have a lot of fun with this little buddy. With three speed modes, you can coax a lot of thrill and fun from the drone. 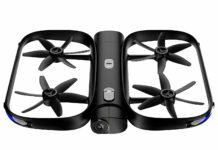 If you would like a fun packed package at a very affordable price, you can buy this drone and have a lot of fun with it. You will see why it is called the best nano drone with camera. 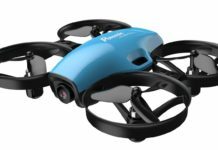 If you are looking for the best nano drone with camera, affordable and easy to use even for children, the Potensic D20 is one of the best. However, there are some recommendations to bear in mind for you to enjoy using it. One of them is to buy a spare battery and double, or even triple your flight time. Also read the user manual before you can start using the drone. Hover the drone to shoot the best video and photo footage. As you have seen in this Potensic D20 review, many small drones come with as many advanced features as this one.